Cook on high for 3 ½ hours or until potatoes are tender. Cook soup on high for approx 3 1/2 hours or until potatoes are tender. When soup is finished top with more shredded Cheddar Cheese and real Bacon Bits. My family really enjoyed this soup...Easy to make.We left out the bacon..No chopping just throw it all in..you can add whatever you want to it..But if you just want a good cheesy potatoe soup this is it. So glad you enjoyed it, thanks for sharing feedback. I made this soup for my boyfriend and I last week. I didn’t change a thing, and it turned out perfectly! It was very cheesy and bacon-y. A very thick soup as well. I will definitely be making this again, but possibly in a smaller amount next time, as it was way too much for only 2 of us to eat. Glad you enjoyed it. It is a big pot for the two of us too, but the left overs are as good if not better. Thanks for sharing your thoughts. So glad you enjoyed it. I think the left overs are just as good myself if not better. Thanks for sharing your input! I made this and it was glorious! I used real bacon, however! So glad you enjoyed it. The Bacon bits are made from real bacon as well. Just helps speed up the process. Thanks for sharing. Made this a few days ago added cream of potato to the soup also used fresh potatoes instead of frozen and real bacon in the soup and on top so good !! So glad you enjoyed it. The potatos we used are made from real potatoes and the bacon bits from real bacon. This just helps speed up the process for those with limited time. Thanks so much for sharing. 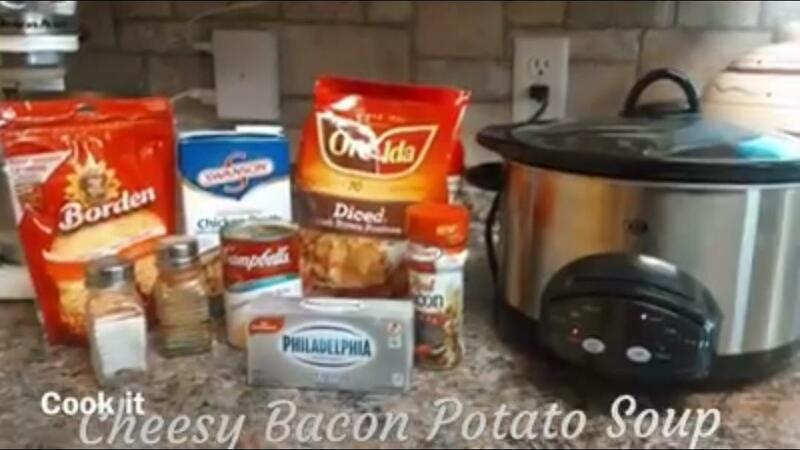 I have tried several different recipes, and this is by far the easiest and the best!!!! I did add onions to the recipe. Made once for my husband and our friends, then for my aunt, uncle and cousin and they love it! Cant wait for the rest of the family to try it on Christmas! My husband keeps asking me when I'm making it for him again lol! My wife loved this recipe so much it has become a go to recipe! That's awesome, thanks so much for the feedback. Please share with friends and family. How many servings do you think? I want to make it next week for about 7 people, do you think this will be enough or can I double it? I made this two weeks ago and have another batch of it going for dinner tonight. It's a super easy recipe and it is very, very good! Does the cream cheese curdle or separate? No it blends together well. This soup is amazing! So so yummy anf wonderful for a cold day! My husband is a picky eater and he loved it! I make this alot. But I put half a bag of cubbed hashbrowns in and the real potatoes with ham. Amazing! I've had this recipe saved for almost a year and finally trying it today. Only changed one thing by using real bacon I diced and fried up. Cannot wait!! Hope it turned out awesome. The bacon bits we use are made from real bacon. 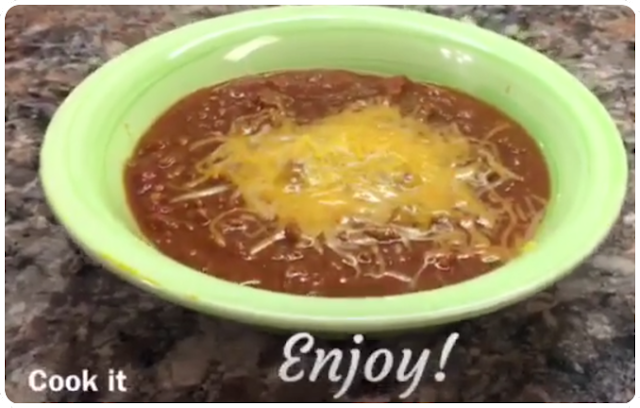 We used these little quick ideas during this video to show a quick and easy way to make this soup without lacking the taste. How long will it keep good frozen in freezer?? Id say it would last a couple months frozen. After that it would probably loose it's flavor getting frost bitten. I've made this several times. Its so good and easy to make. You just dump it all in. My family loves it! So awesome to hear. You should try our Broccoli Soup recipe or the Beer Cheese Soup recipe. Both of these are just as tasty and easy to make. Be sure to share with friends and family. I made this for a retirement party and it was amazing!! !